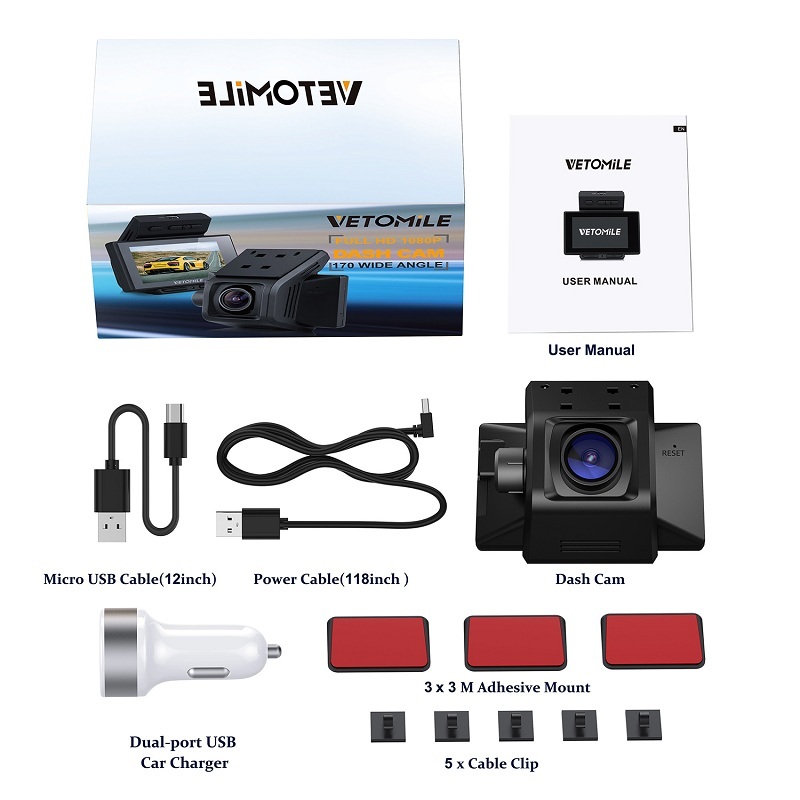 The VETOMILE FHD 1080P Car Dash Cam can be discreetly installed behind the car rear view mirror, and with 170 degrees ultra wide angle lens to capture 4 lanes of traffic without distortion. Featuring 2.7 inches display screen, allowing for real-time monitor or playback on screen. Built-in G-sensor automatically locks the associated video file when the car gets involved in a bump or collision. Small but powerful, make it a great companion on your driving way. 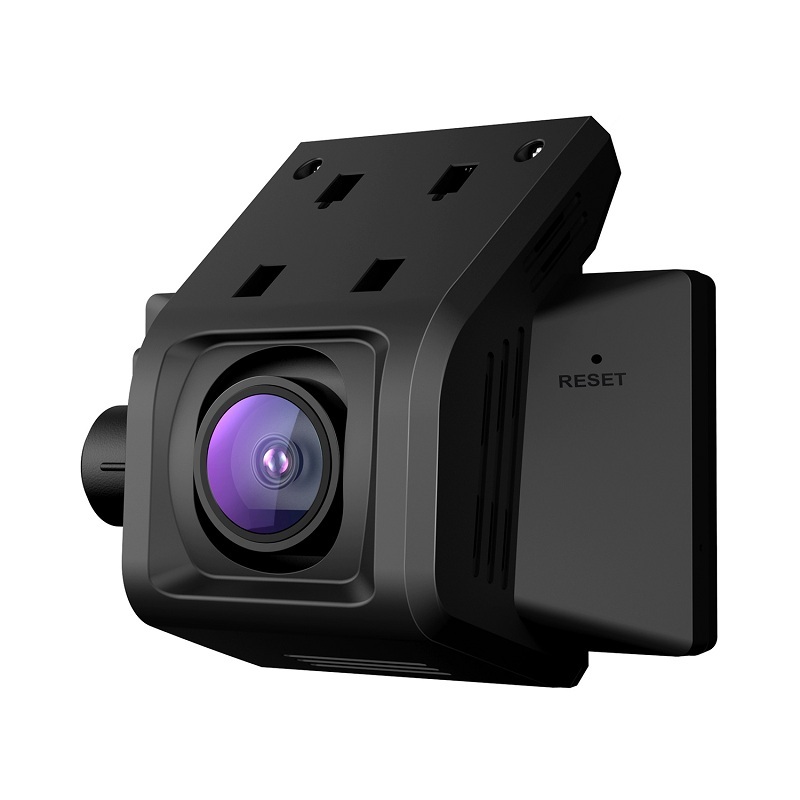 1.170 Wide Angle View in FHD: Full HD 1920*1080 at 30 fps, ultra wide 170 degrees angle, capturing 4 lanes of traffic situation, and providing stunning clear images and details. 2.High Quality Day & Night Vision: Using the Novatek NT96650 processor and AR0330 sensor, produce high quality footage for both night and day recording. And features 6-layer glass lens and F1.8 large aperture, with HDR technology to automatically adjust exposure, makes the night vision even better. 3.Emergency Recording: Built-in G-sensor automatically detects accidents and save the associated video, locked files will not be overwritten, to provide you the needed evidence of the event. Also supports manual lock. 4.Seamless Loop: Recording in a seamless loop to use the SD card storage efficiently, enabling users to optimize their data by having the newest video overwritten the oldest video, customizable video clip length of 3, 5, and 10 minutes. Support SD card up to 32GB from Class 10(not included). 5.Super Compact Size: Hidden design, super slim, fitting perfectly behind the rear-view mirror, and with rubber coated housing, absolutely inconspicuous. Equipped with 2.7” LED display for ease of playback and menu selection. 6.Easy to use: Coming with an extra 3M panel and three cable clips. Use the 3M adhesive panel securely mount the dash cam onto your car windshield. 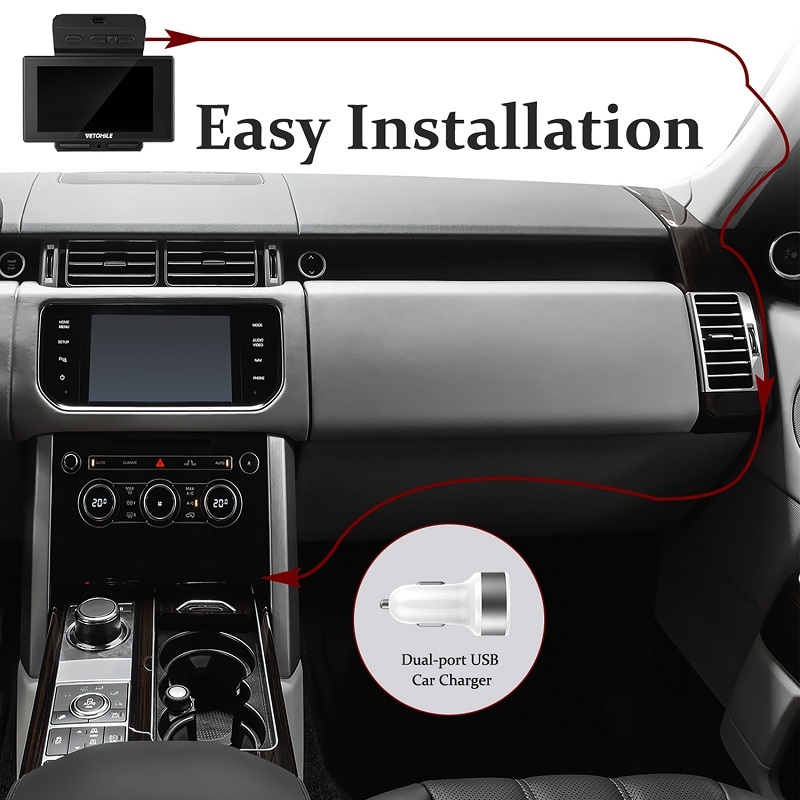 Plug in the included dual-port USB car charger(can simultaneously charge the cam together with your devices) and connect the dash cam via the mini-B cable to power on, it would start recording. 1.Must format the TF card by the car DVR before using. 2.Before mounting onto the car windshield, please clean the predetermined spot so that the 3M adhesive can hold tightly and securely. 3.We recommend leaving it connected to your cigarette lighter as it automatically turns on and off as the car engine on or off.